When I was preparing for this trip to Zambia, I was disappointed by the limited literary selection that I found online. Where was the Zambian Achebe or Adichie? Lusaka’s Coetzee? I was delighted, then, to pass by Planet Books today on my way to lunch. I ducked in and quickly inquired of the salesmen: Where on earth are the books about Zambia or by Zambian authors? Without a word, they dispersed around the store, returning with book after book. In addition to their personal recommendations, they also have several shelves devoted to local literature. What a relief! I was particularly impressed with the salesman’s knowledge of and passion for Zambian books. They pressed volume after volume into my hands. When I told one about my struggle to find internationally recognized titles, he nodded his head sympathetically. “Zambia does not have many authors,” he said, before darting off to bring me another recommended read. It just goes to show: Bookstores always trump online shopping! 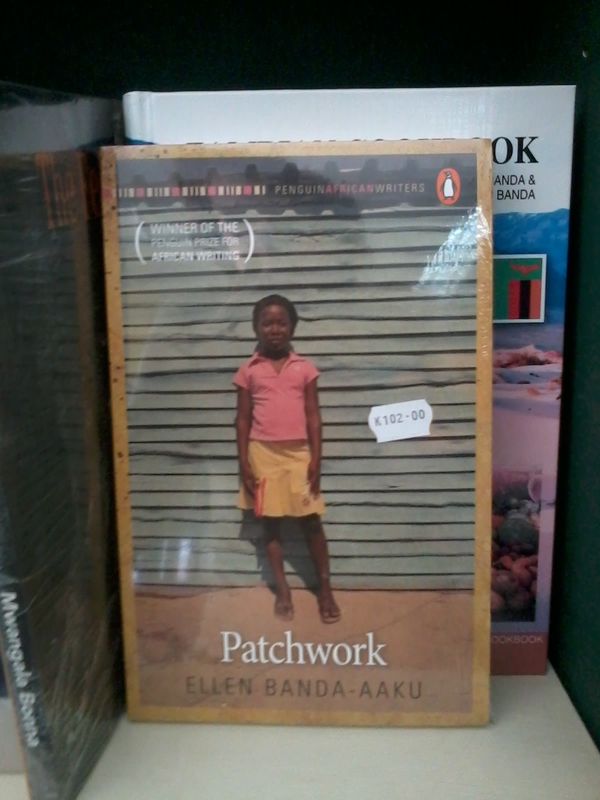 After much deliberation, I purchased Patchwork by Ellen Banda-Aaku–my new Planet Books friend recommended it most highly. Check out Planet Books on Facebook! Wow, this is amazing, so many titles. I feel like my mind just expanded, yay! That’s funny! Did you get anything? No, I didn’t buy anything. I sort of looked around and then headed to the store.